As announced a few days ago, the functionality of Foursquare dedicated to locational is deported on a new app called Swarm, available since tonight on iOS and Android. This distinction is now baneberry, the app "Swarm" is available on the App Store and Google Play Store. 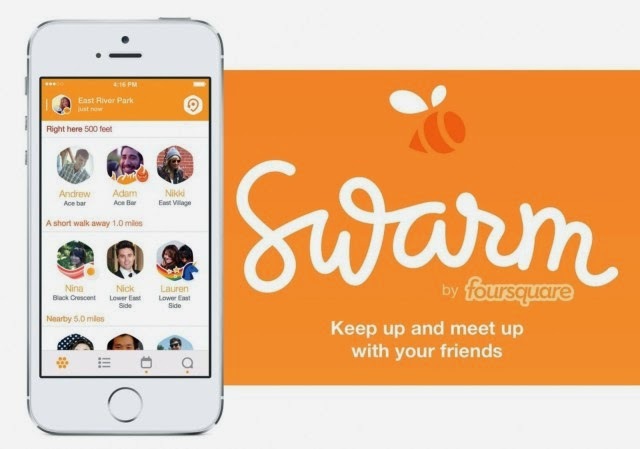 To register a place emblematic use of Foursquare, users will have to use "Swarm" on iOS and Android. They can also locate a glance friends who are part of their network. The application "Foursquare" loses its functionality check-in and becomes a simple guide to explore and find places around you (restaurants, bars, shops, etc..), On the basis of recommendations of other users.